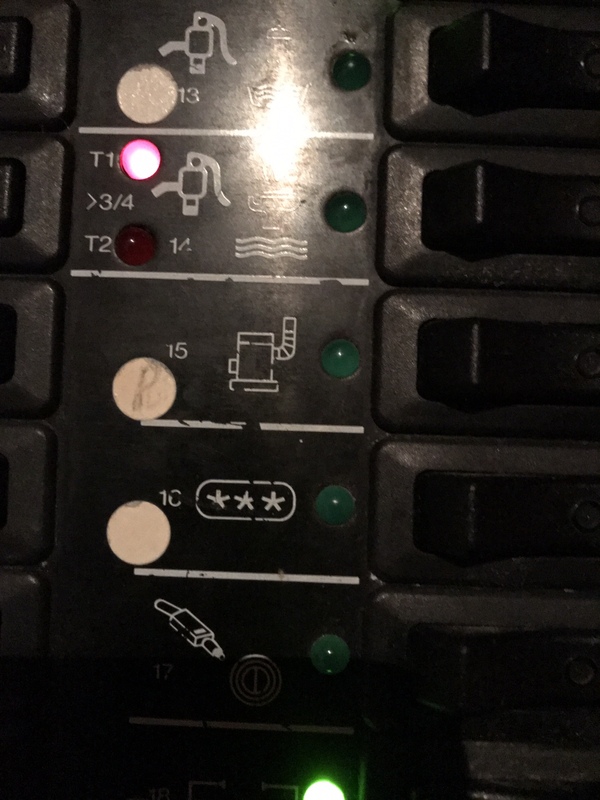 Sorry for this weird question [emoji1] but maybe someone can help me understand why on the instrument dashboard of a Bavaria Crew 42ft from 2004 the toilet light is flashing? You're in the toilet and having an emergency????????? The little symbol indicates that the tank is more than 3/4 full, doesn't it? As paul said. If you don't empty it out Real Soon, you are likely to have the head back up and discharge sewage all over the boat. Or, the warning light indicator and tank sensor may be defective, but that's less likely. I wouldn't use *that* head at all, until that tank was emptied. Thank you guys for your responses. I assumed it might be so, however, I’ve turned the switch on and was out at sea with it on, hoping that the system would then release the sewage (after pumping). I’ve recently bought the boat and therefore am asking for advice as to how to empty the system? Thanks in advance for your help! Learn if you have 2 holding tanks.